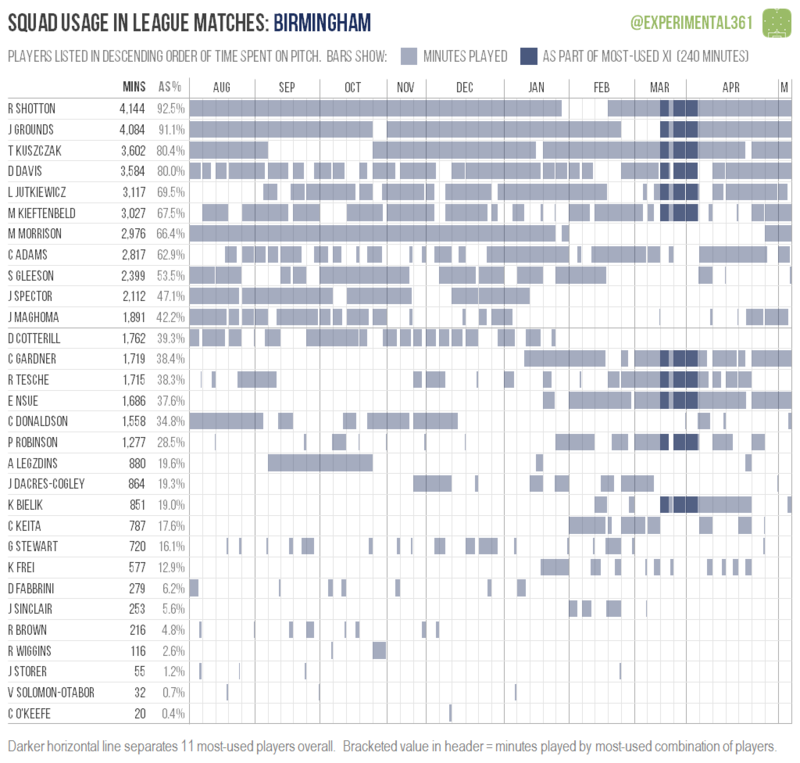 I want to focus more on the impact of individual players next season but I realised that I didn’t even have a good way of visualising who was on the pitch and when, so today I’m road-testing another new graphical template. 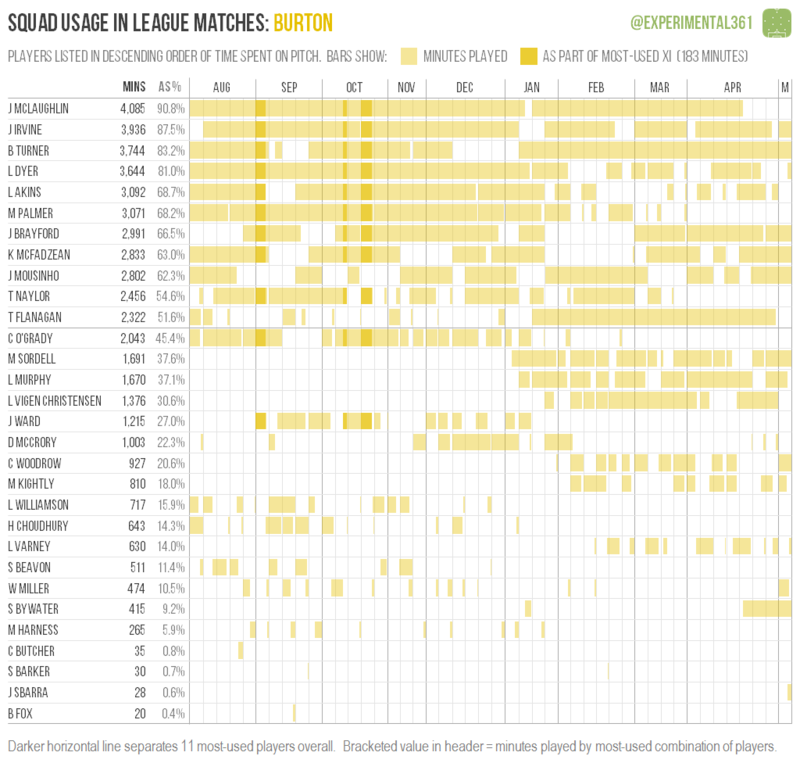 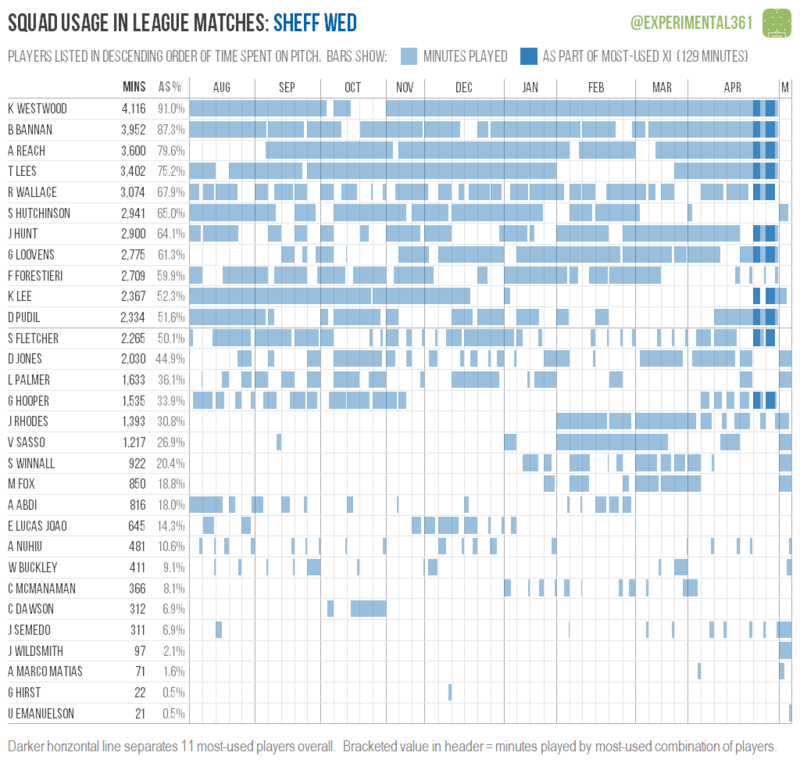 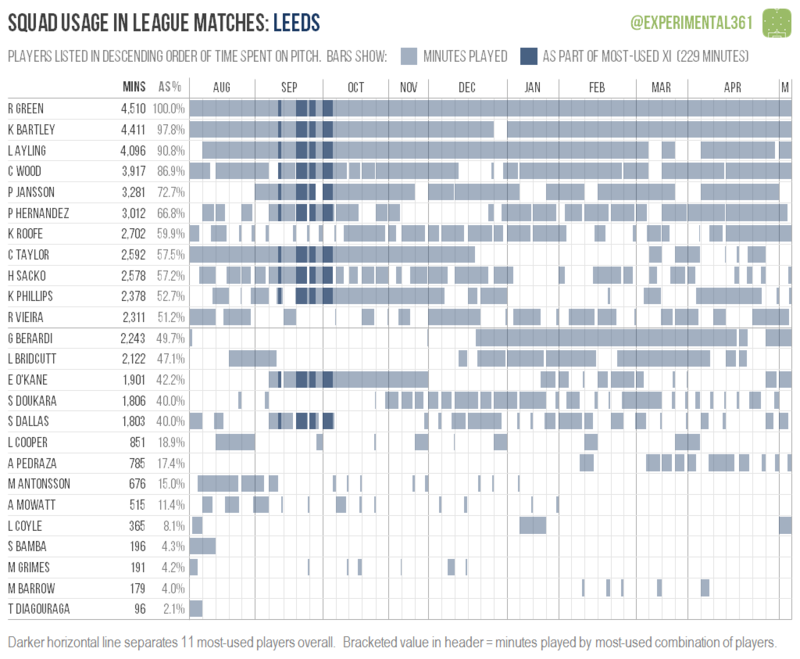 What I’ve done for every club is to plot out their league campaign minute-by-minute and then shade in a bar for each player showing when they were on the pitch. 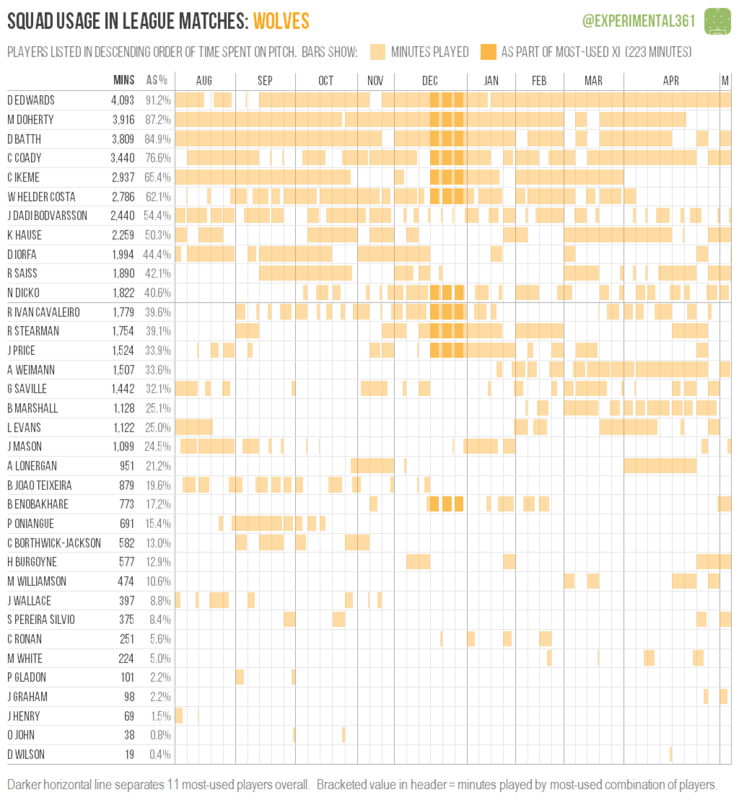 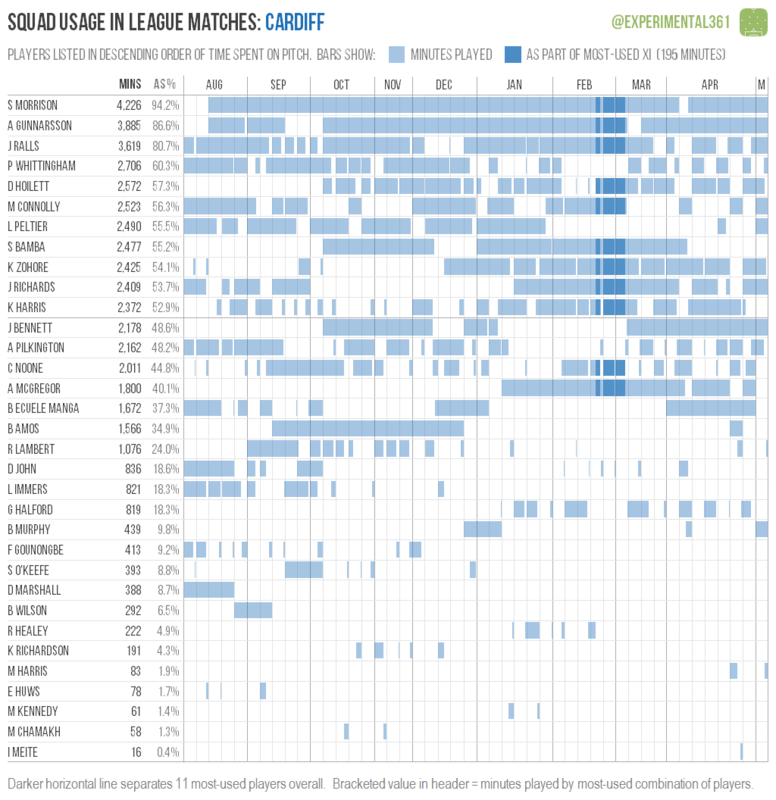 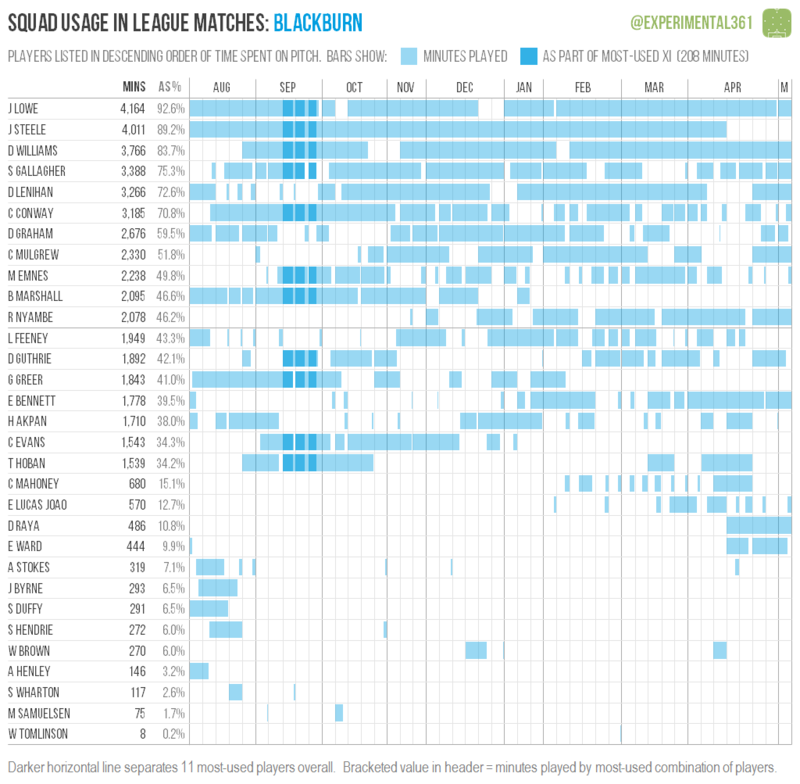 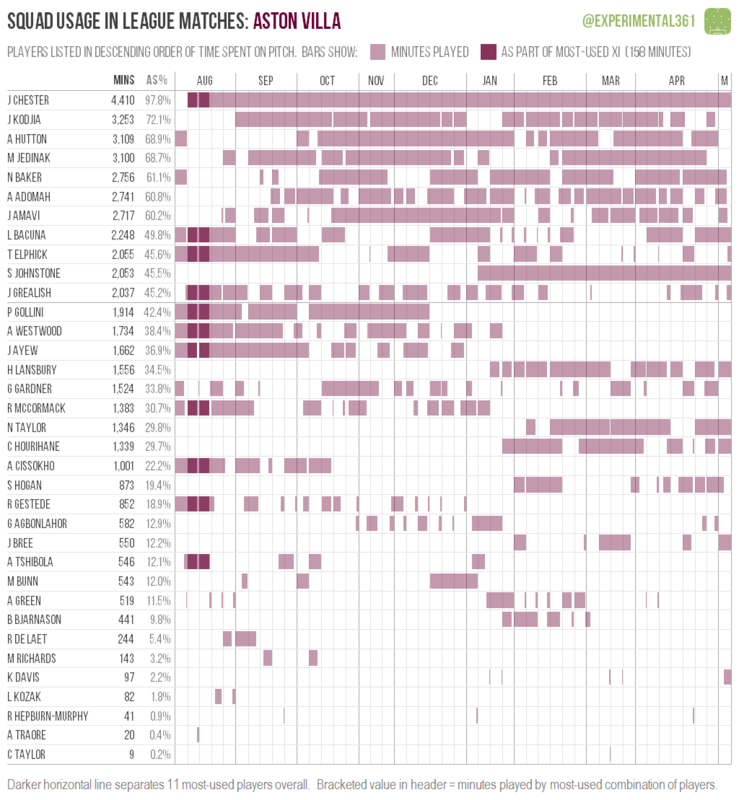 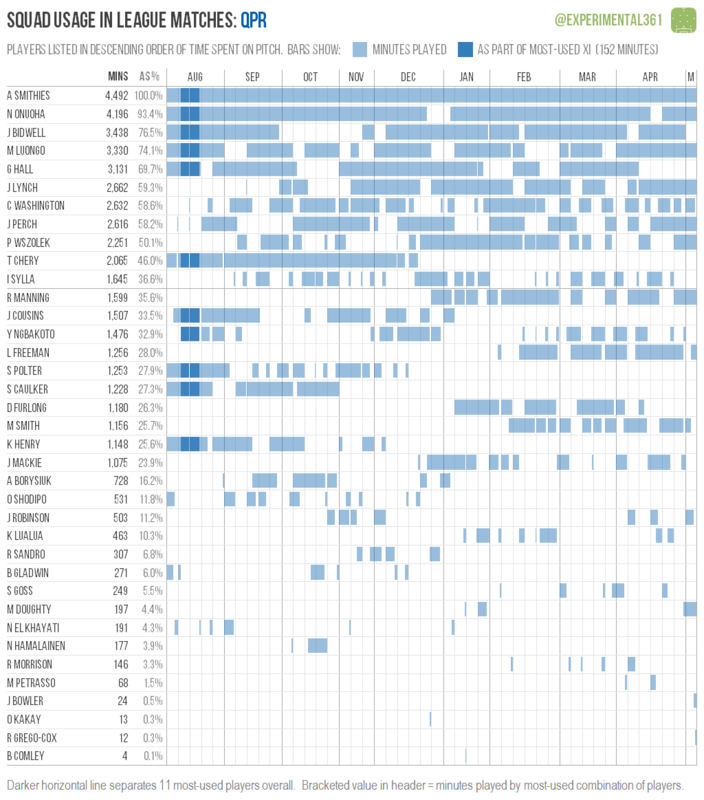 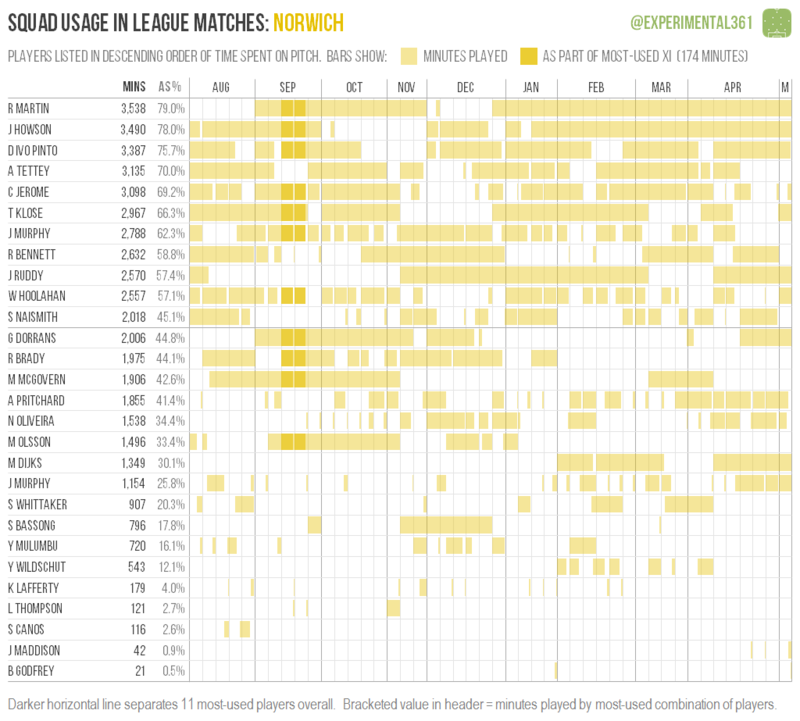 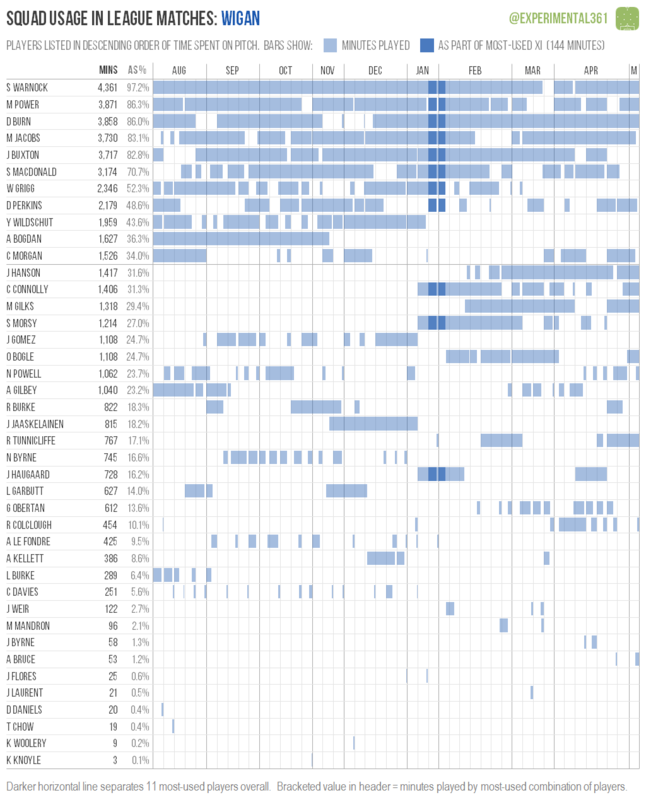 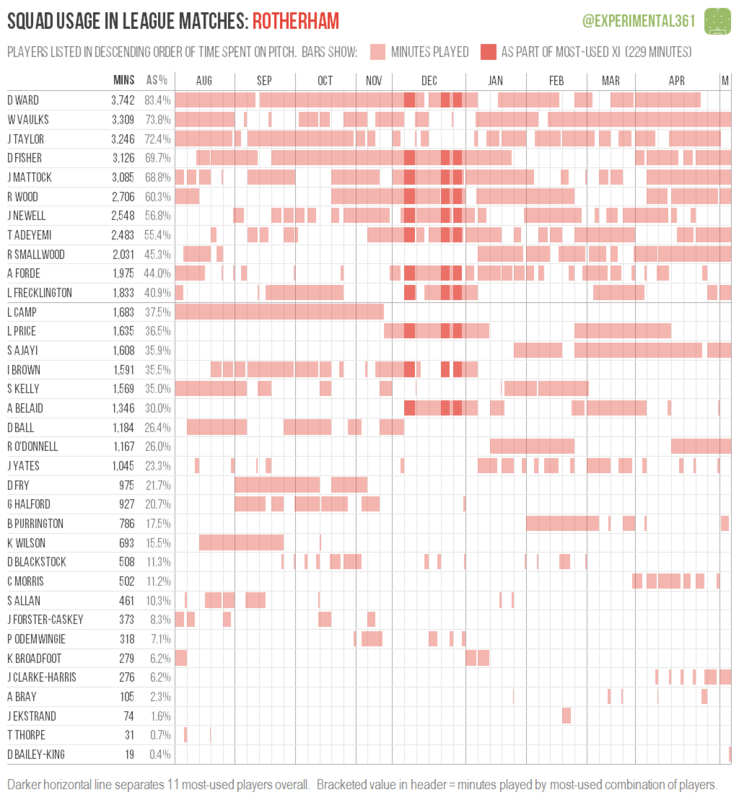 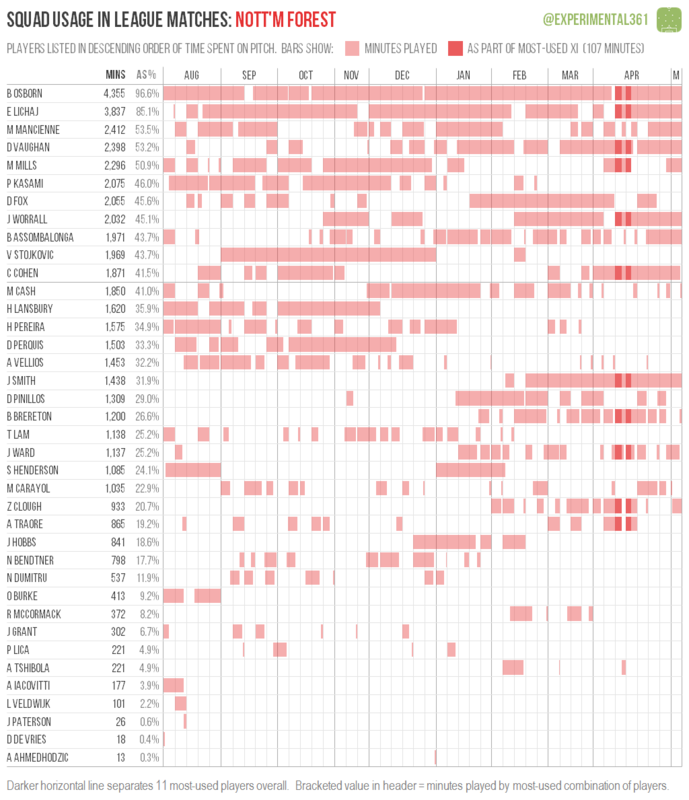 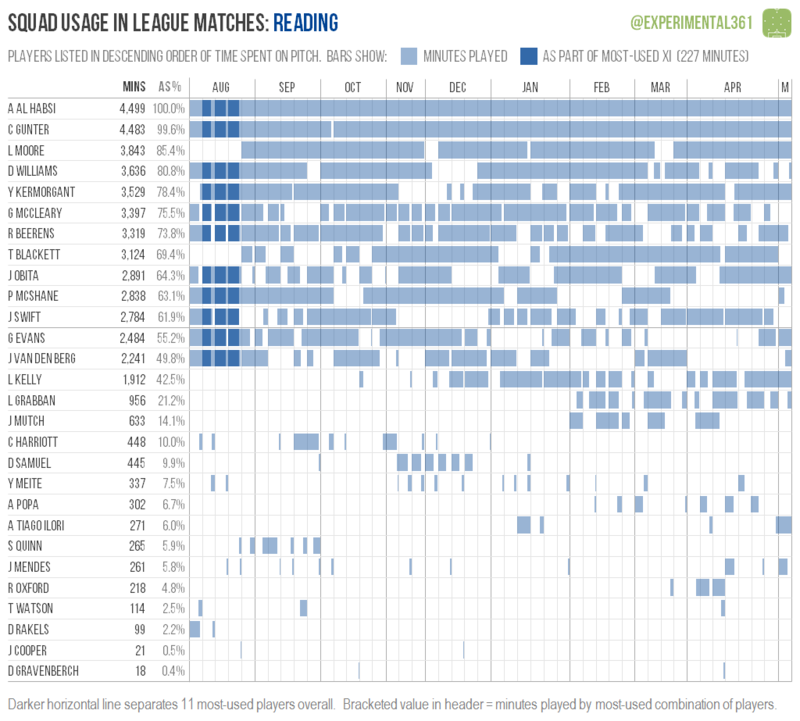 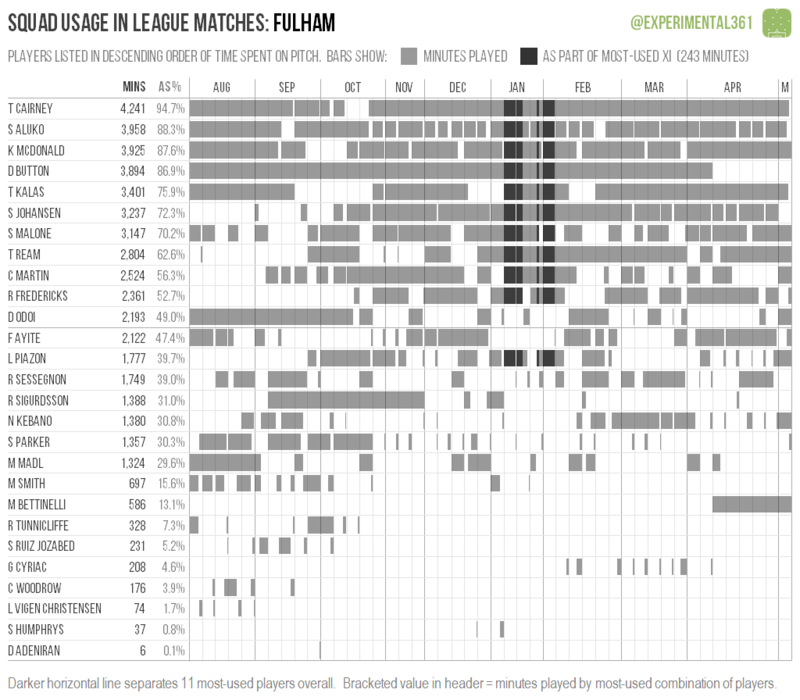 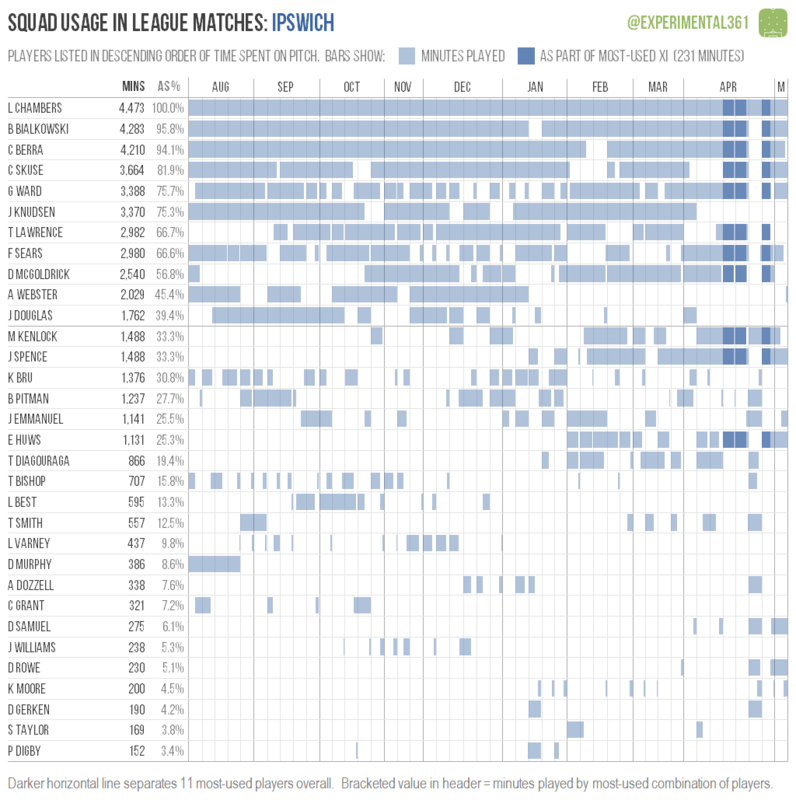 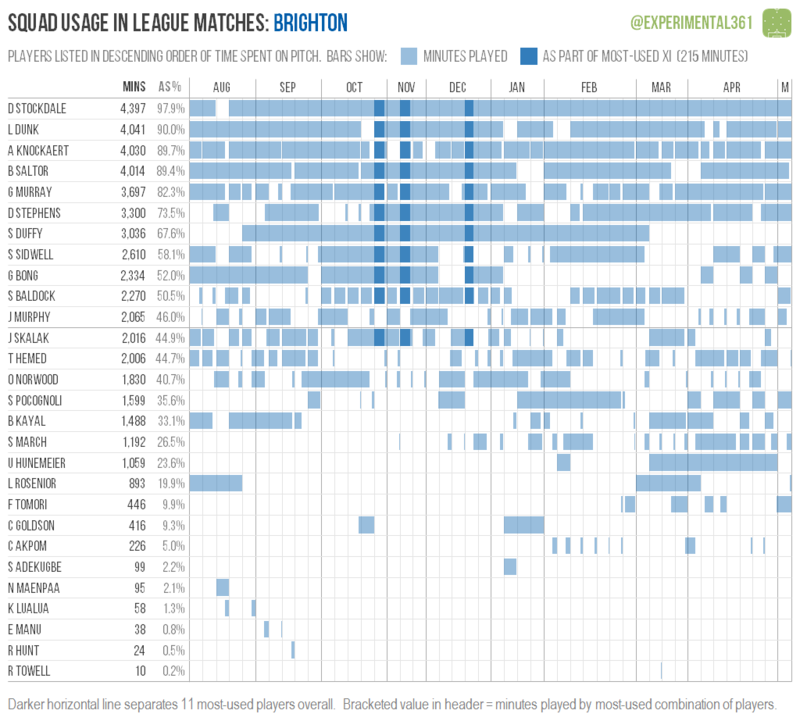 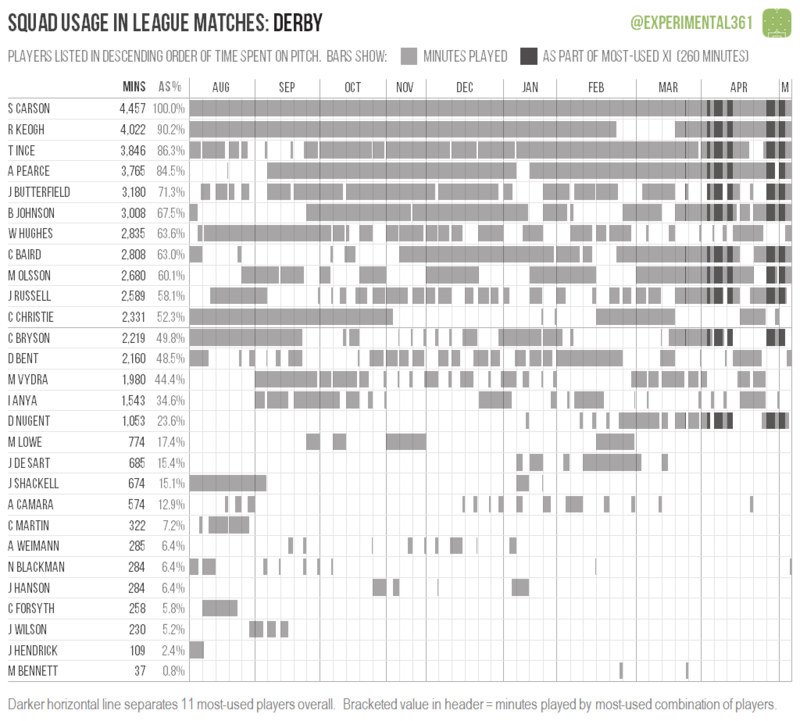 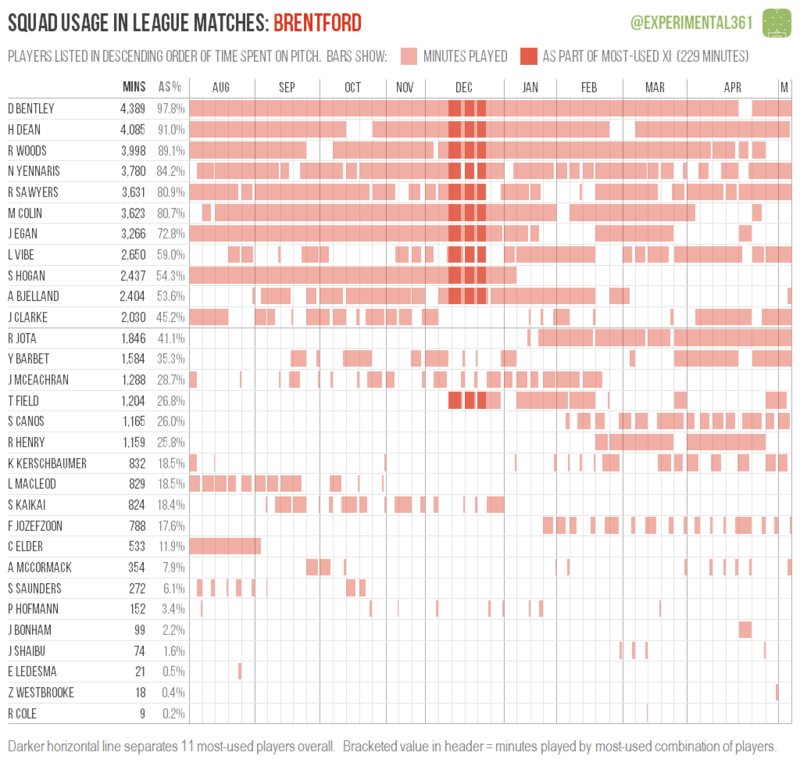 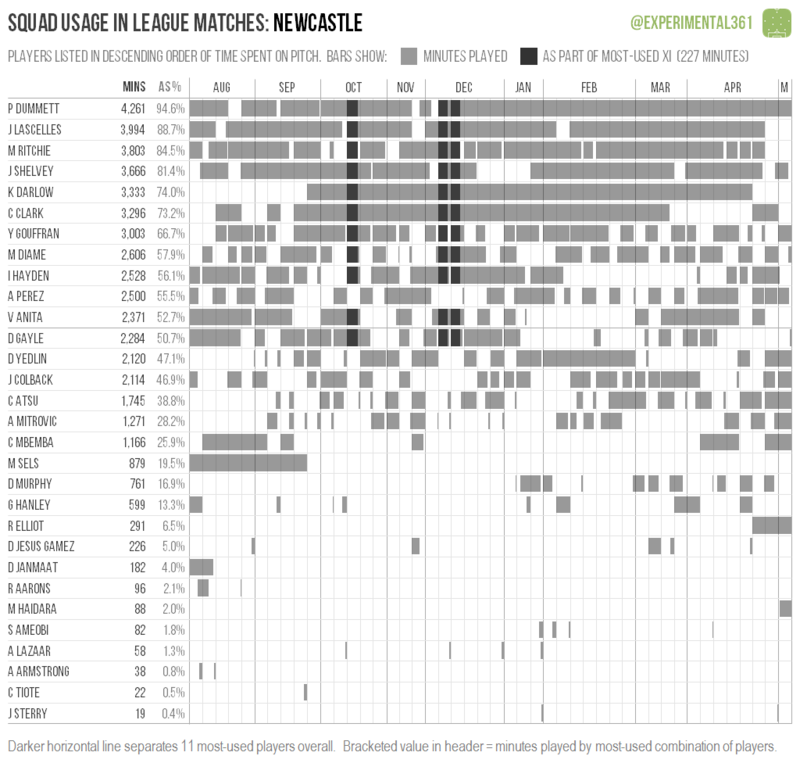 The players’ bars are then laid out next to each other, in descending order of how long each spent on the pitch this season (also shown as a percentage of the club’s total playing minutes), to allow for comparisons. 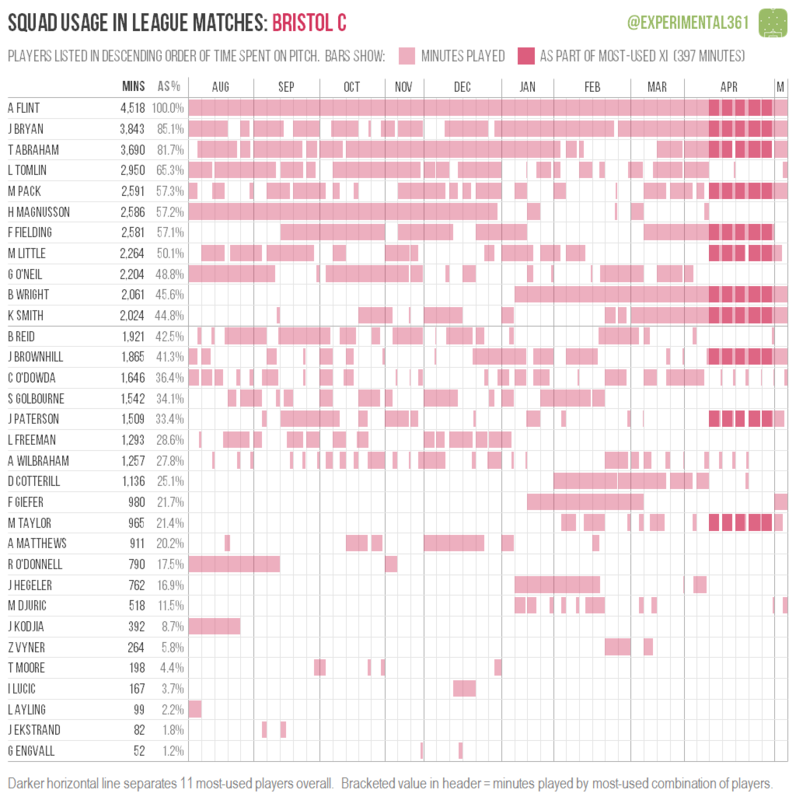 Bristol City fielded the most common combination of players, with the same 11 players starting five of their last six matches for a total of 397 minutes on the pitch together. 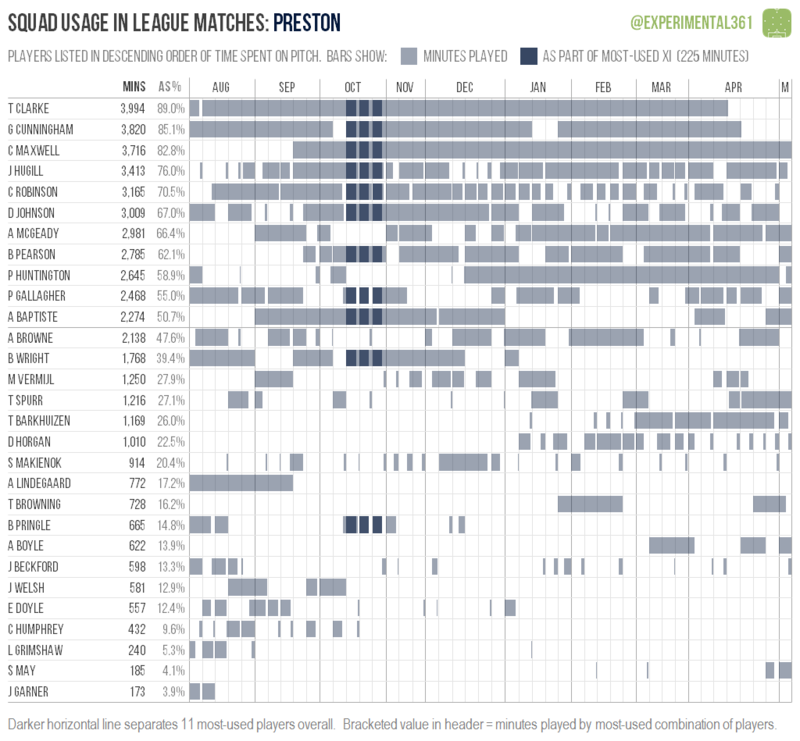 The 41 different players used by Wigan this season was the most of any side in the EFL (although several deployed 40), with seven players getting fewer than 90 minutes. 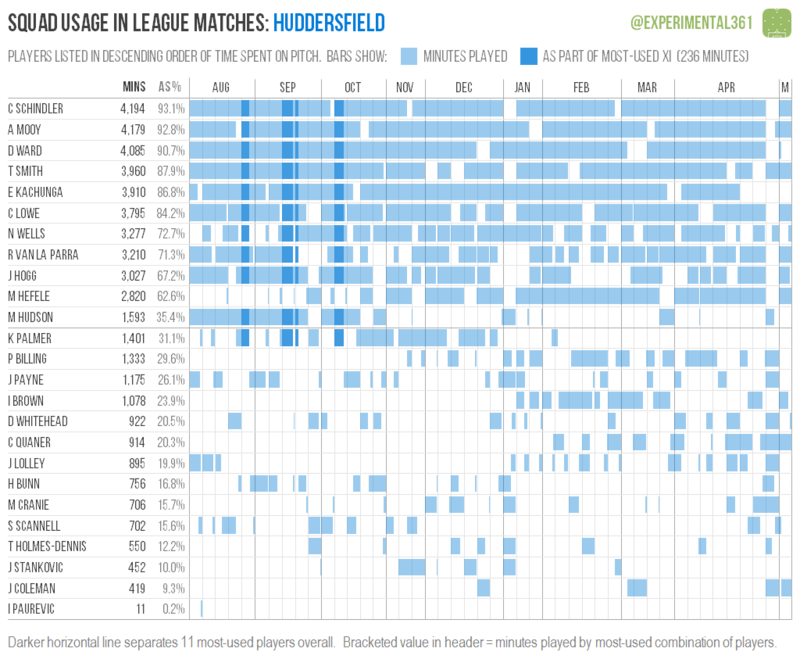 Huddersfield used the fewest with 25. 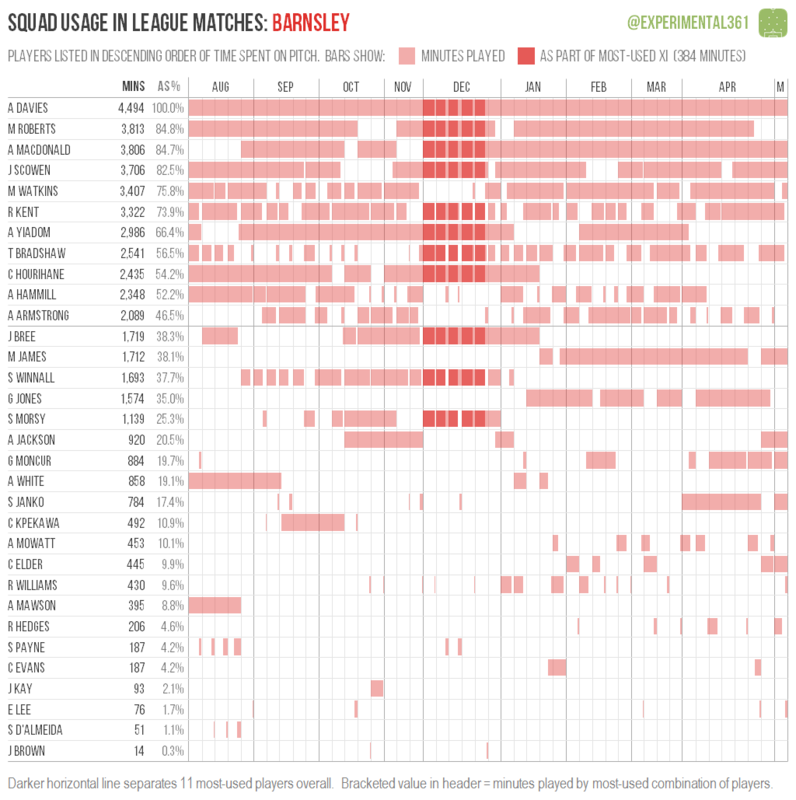 There were seven ever-present players this season, all for different clubs.